These photographs show the Southern Sinfonia with their instruments, and members of the string and brass sections playing. 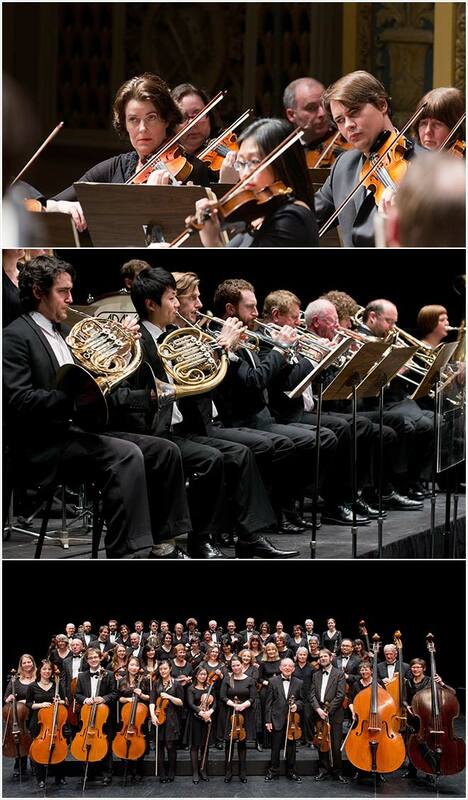 The Sinfonia is the only professional orchestra in Otago and Southland, and has a busy schedule. It presents a five-concert subscription series; performs school, chamber and proms concerts each year; runs master classes and workshops for musicians; and accompanies touring ballet, opera and choral productions.